back on the top step of the podium. The first car sees the continuation of the all-British driver line-up that powered the Continental GT3 to a stunning fourth-placed debut at the Gulf 12 Hours in Abu Dhabi last December. Long-standing Bentley Boy and Le Mans 24-Hours winner Guy Smith will drive with experienced GT3 racers Steven Kane and Andy Meyrick. Balancing a range of different experience between them, Smith, Kane and Meyrick have shown a great working relationship, second only to an impressive turn of speed. The second Continental GT3 will be piloted by a European driving team. Englishman Duncan Tappy will be partnered with Frenchman Antoine Leclerc and Belgian former F1-racer Jerome D'Ambrosio, who makes his GT3 debut after several successful years of open-wheel racing. "Our six modern day Bentley Boys give me great confidence for the year ahead. The selection process has been tough after having had so much interest, but these six racers have shown the prodigious talent combined with the experienced, dedicated approach that we need. 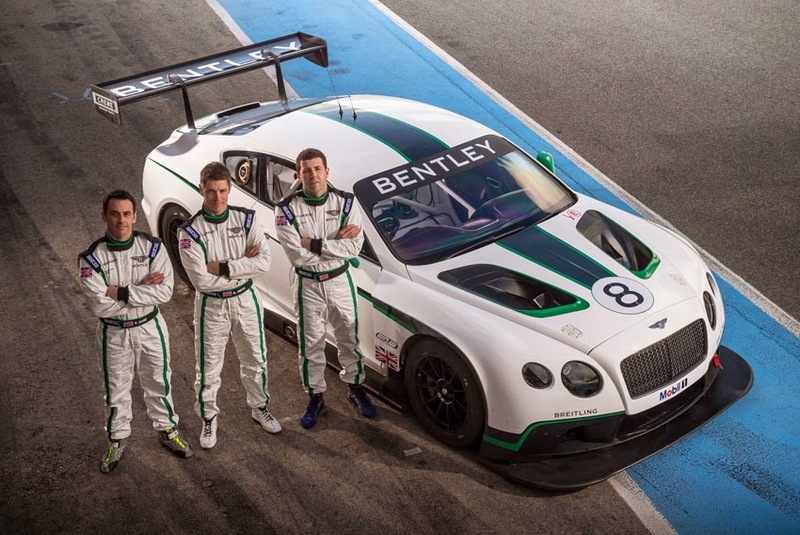 The whole team is now in final preparations for the season ahead, and we're all extremely eager to get to Monza so that the real racing can begin," said Brian Gush, Bentley's Director of Motorsport.